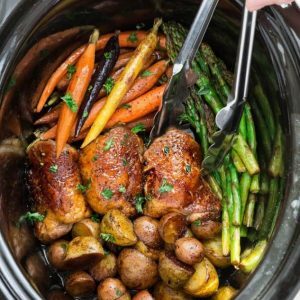 Slow Cooker Harvest Chicken and Autumn Vegetables is an easy set and forget all-in-one meal that’s perfect for busy weeknights and an alternative to Thanksgiving for two. 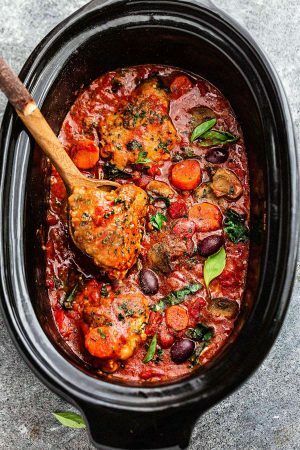 Best of all, can be made in the oven or crock-pot with tender and juicy chicken, flavorful herbs and hearty vegetables. In a small bowl, mix together the sage, thyme, rosemary, garlic powder, paprika, salt, and black pepper. 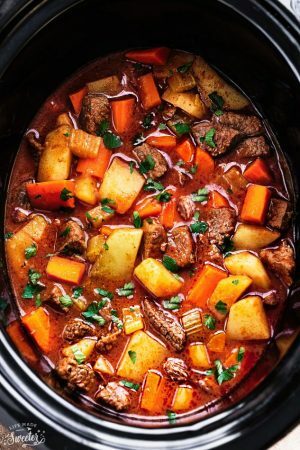 Add the potatoes and carrots to the bottom of a 6-quart slow cooker. Drizzle with oil and half of the minced garlic and spice mixture. Toss to coat. 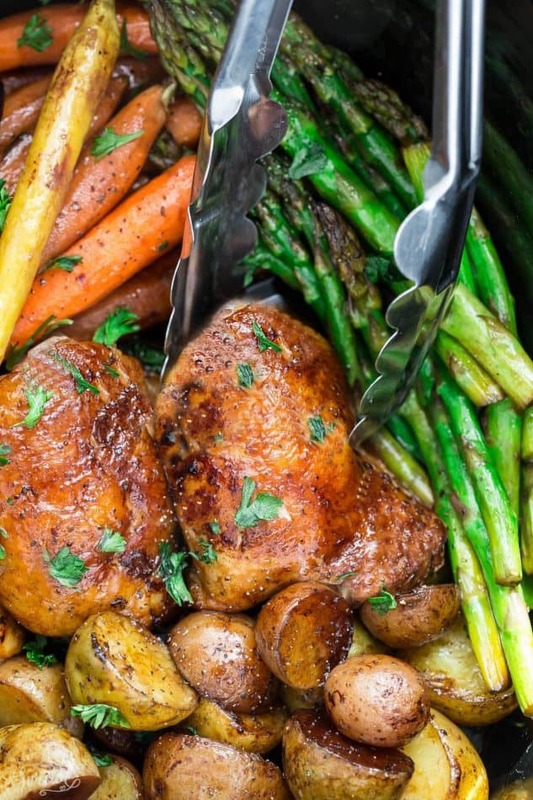 Place the chicken on top of the vegetables and rub with remaining half of the garlic and spice mixture. Preheat oven to 450 degrees. 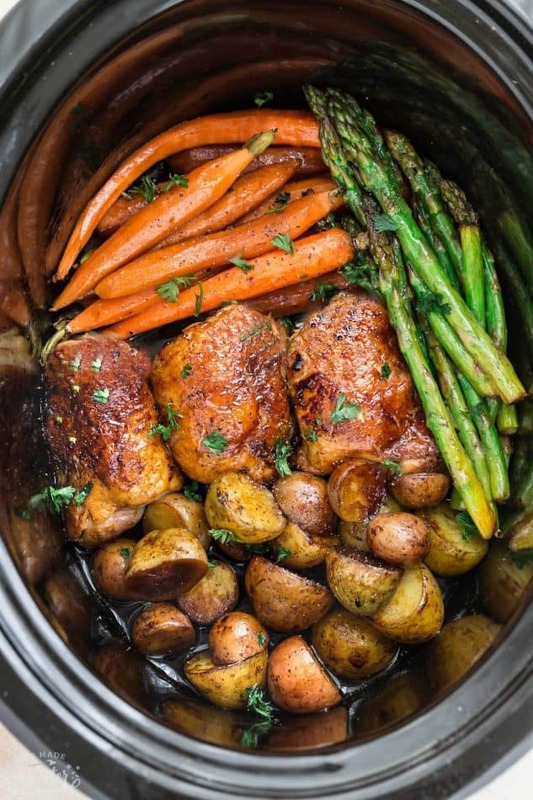 Grease a large 3-quart casserole pan or line a sheet pan with foil or parchment paper. Spread potatoes and carrots evenly on top and drizzle with oil, half of the minced garlic and spice mixture. Toss to coat. 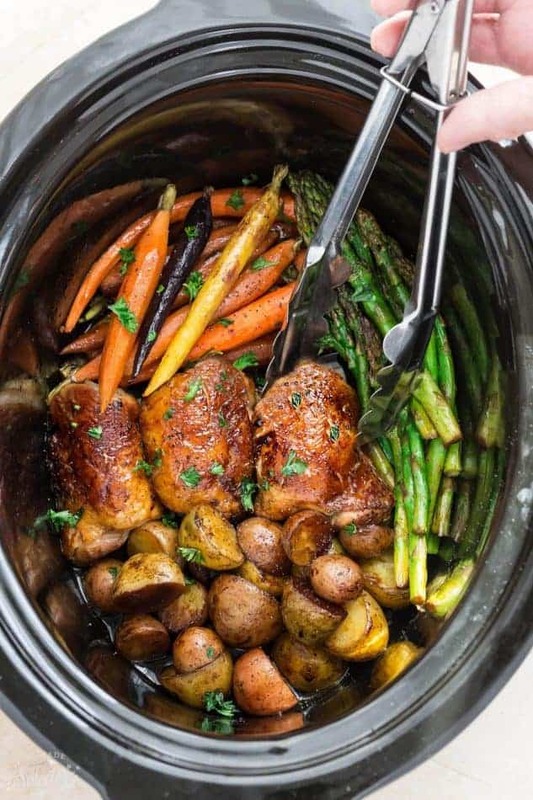 Place the chicken on top or around the vegetables and rub with remaining half of the oil, garlic and spice mixture. Roast for 18 minutes, then remove the tray from oven. 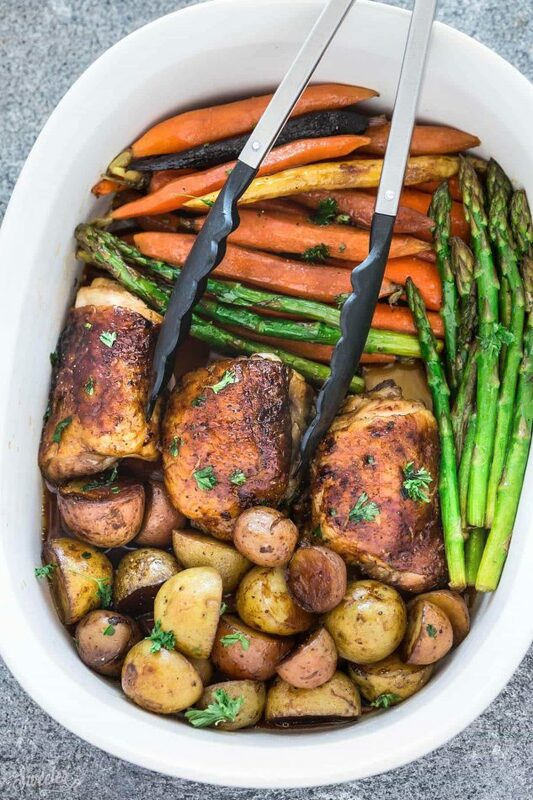 Push aside the potatoes to make room for the asparagus. Lay evenly on pan and drizzle with remaining olive oil and spice mixture and toss to coat. Return pan to oven, and roast until chicken is cooked through, about 15-20 more minutes (until chicken is 165 degrees in the center). Turn oven to broil for 2-3 minutes for a more golden skin on chicken if desired. Serve hot with chopped fresh parsley.